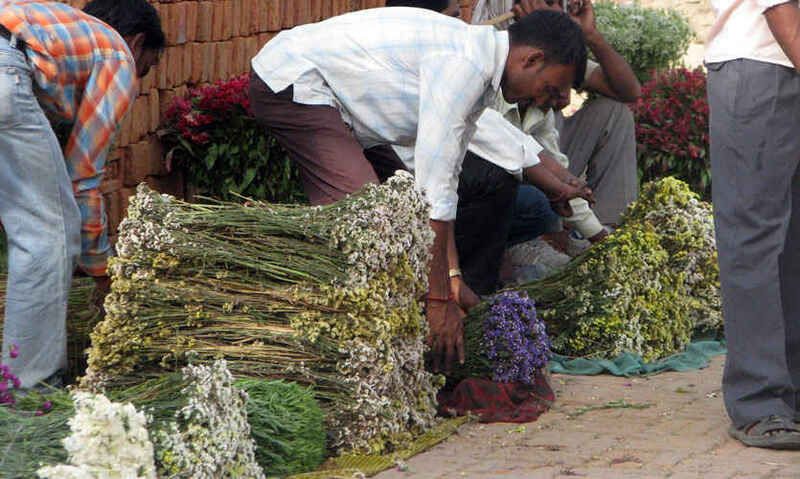 Delightfully fragrant and a treat for the eyes, this wholesale market of Delhi located in Ghazipur supplies flowers to an array of buyers ranging from event managers, wedding planners, and designer florists to small scale vendors. Look at the flowers, absorb their beauty and take some home - who knows, it might just turn out to be the best “good morning” you'd have wished yourself in a long time! It's fairly accessible via the Anand Vihar Metro station making its exquisite and exotic merchandise available to everyone. The market opens as early as 4 AM, its mood and character changing every few hours in terms of its consumers. For example, the first hour is dominated by the retailers and vendors setting up shop, and unloading their varied produce. 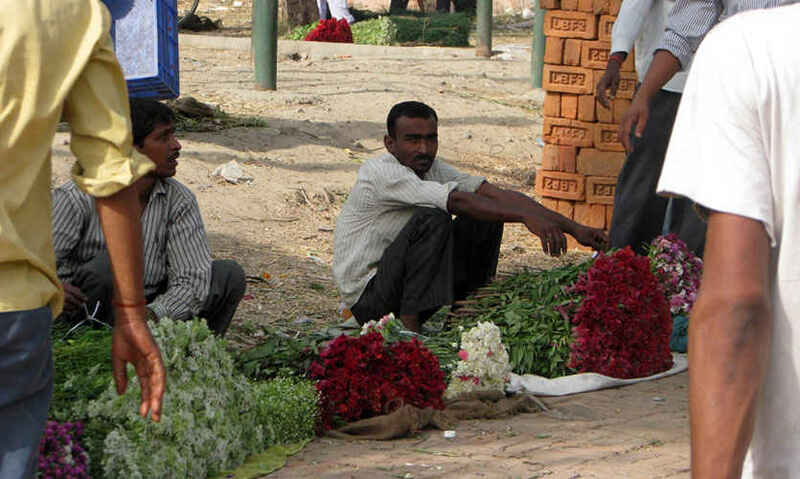 For the second hour (5-6 AM), the major retailers come and purchase flowers in bulk, at wholesale prices. Alongside, tea vendors and small food joints are also involved in setting up their daily businesses. Beginning daybreak, activities increase tremendously: Small vendors are the key buyers in this time frame, and at the end of it, wholesalers pack up and local consumers start flooding in. This goes on, wherein the last hour, market activity starts slowing down as the wholesalers start reloading unsold stock and the market closes for the day. So in case you’d like an ultimate tour of their modus operandi, you’ll have to forego a significant amount of sleep for a day. As you walk around, it is easy to chat up interesting people. Or if introversion rules your being, you can just sit around overhearing conversations, calls to customers, bargain deals and what not. There are numerous chai (tea) stalls for you to grab a quick cup of tea between your floral shopping spree and don’t forget to stop by for a yummy snack of Bread Pakora. Focusing on the flowers, the range found here is as impressive as the source itself. 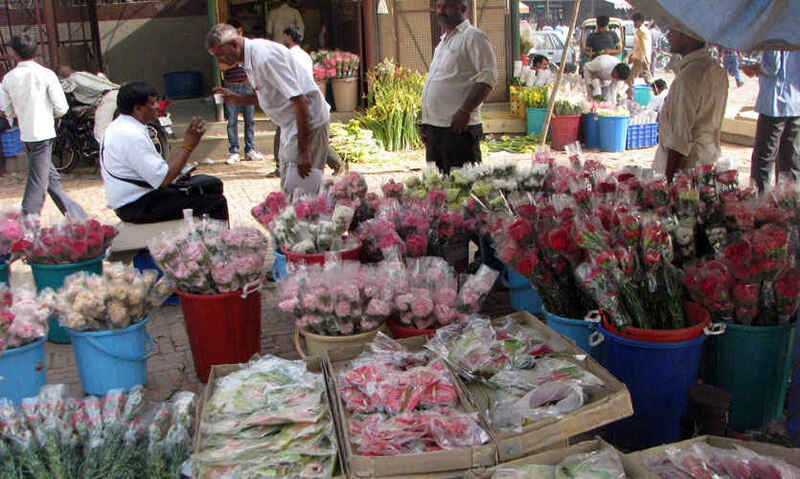 These flowers are brought from all over India, as well as from distant countries like Thailand, China and Holland, amongst others. These include marigolds, lilies, roses, orchids, gerberas, irises, anthuriums, and even artificial flowers in shades of reds, oranges, yellows, blues & whites, to highlight just a few of the wide gamut of flowers. This is a market where bargaining is paramount. A high quality rose for Rs. 15 in a retail shop can be purchased here for Rs. 4 only; a gerbera going for Rs. 100 for 10 can be bought for a tenth of the price. As you delve deeper into the market, the prices fall further, the outer shops being more expensive. In the off-season, bargains are there for the taking however during peak season (usually lasting September–February) and in short bursts at other times expect higher prices, with sellers less willing on discounts. 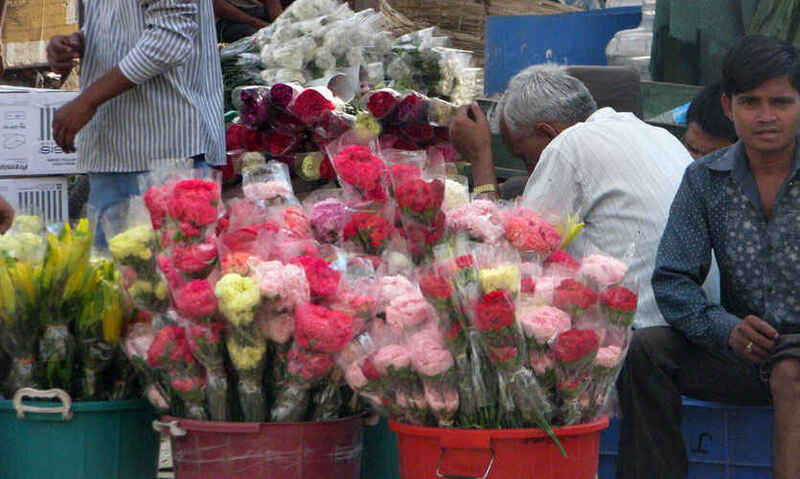 It sure takes determination, but getting up early one of these days and making a trip to the Ghazipur phool market is completely worth it: it’s not just about buying flowers, but an enlightening experience in itself!